I know the kids won’t agree with me but it is good to see the back of the snow and things returning to normal in the estate again. 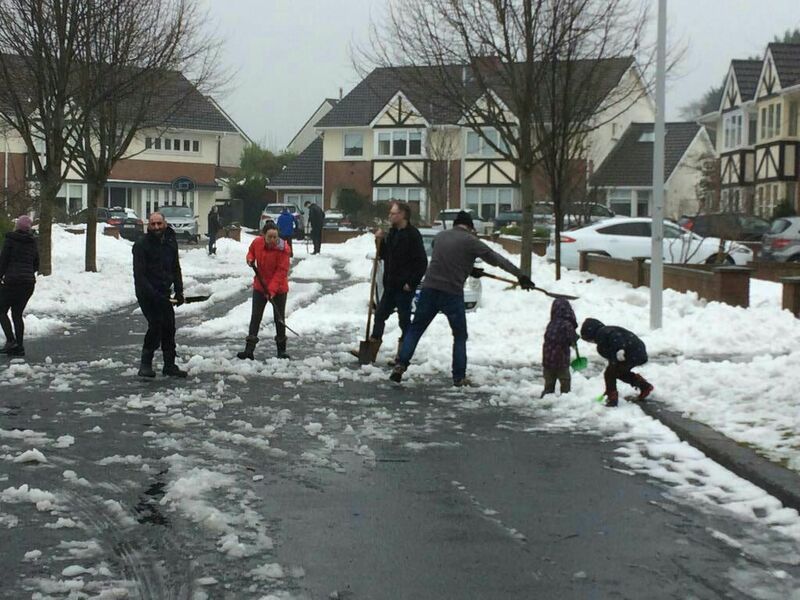 Having said that, I think the adverse weather conditions brought out the best in us and it was great to see the level of community spirit among the residents in the Gallops. I know this from first hand experience as I managed to get stuck in my car twice while driving in the estate and within seconds there were residents offering to help push me out. It was also noticeable how much more we greeted each other as we battled through the snow and ice to get about our daily business and from a Committee perspective it was great to see our 2 grit boxes finally coming into use after all these years! In terms of what the Committee has been up to, hopefully you will have seen our latest actions update on the website or Facebook page, but in case you haven’t, I wanted to highlight a few things for you. Firstly, we now have a donations facility on the website via Pay Pal so residents can now make donations securely on-line to the running costs of the residents association (a big thank you to those residents who have already donated!). Secondly, we got the last of our new road signs installed by the Council on Glencairn Oaks and Glencairn Rise, so hopefully that will help to reduce any confusion among visitors in finding houses on those roads (thanks to Dun Laoghaire-Rathdown County Council for their help on this). Finally, we are holding our next estate clean up on March 24th at 10.30 am, starting at the playground. Please come along and help if you can. Kids and pets are welcome!